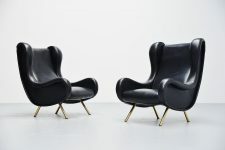 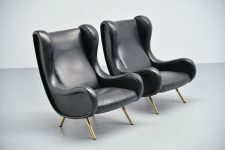 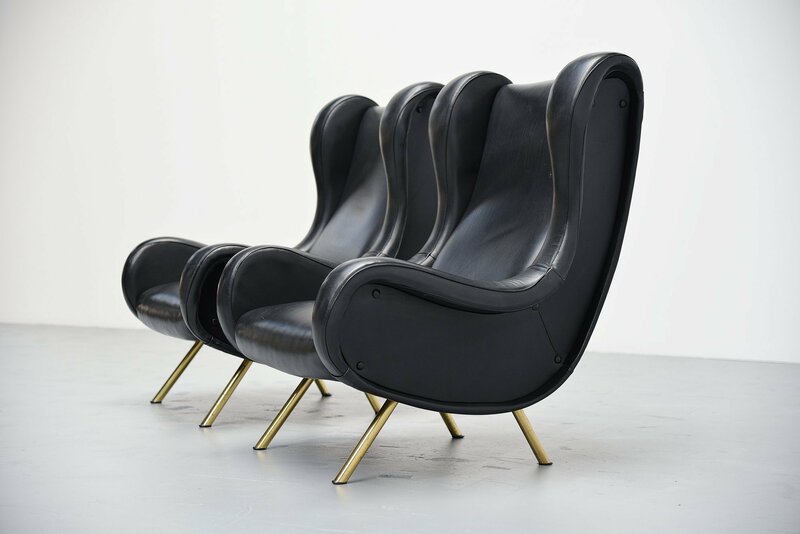 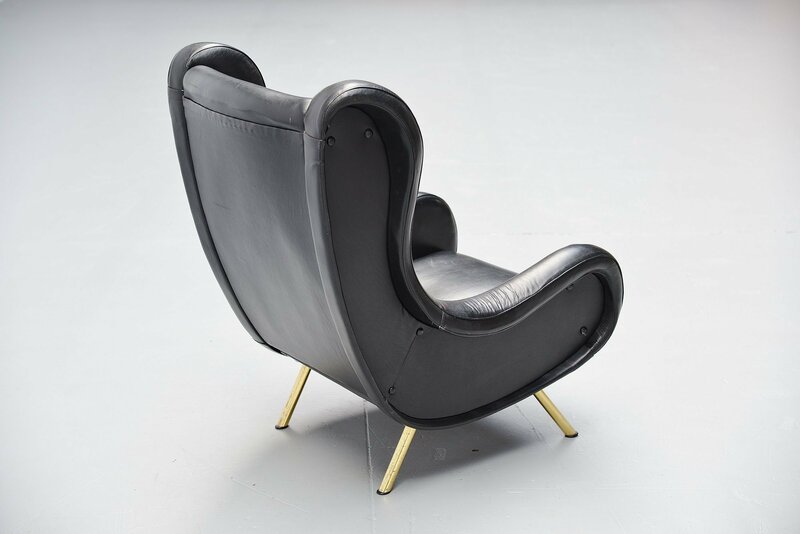 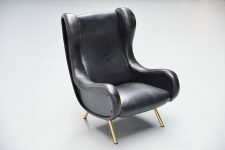 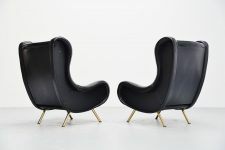 Fantastic iconic lounge chair pair designed by world known designer Marco Zanuso and manufactured by Arflex, Italy 1951. 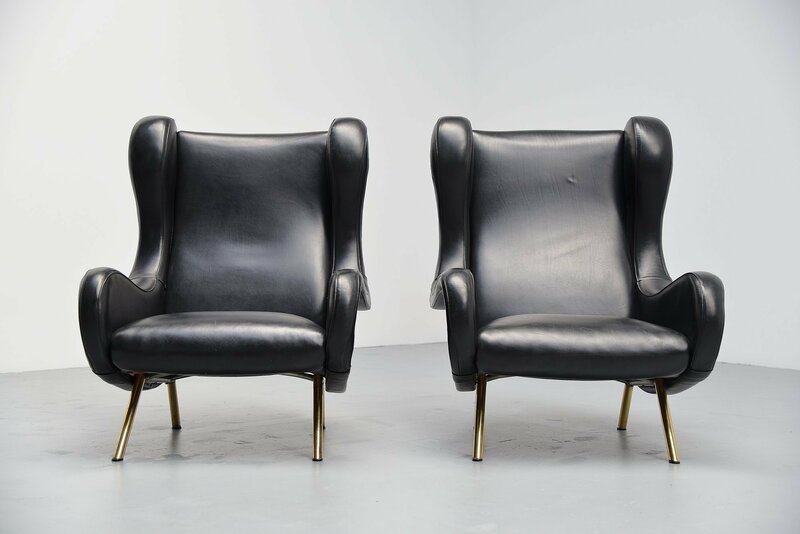 These two lounge chairs have their original leather upholstery which is quite rare for these chairs. 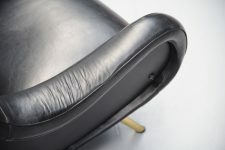 The condition of the leather and foam is still excellent. 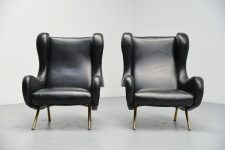 Magnificent set of chairs in super condition. 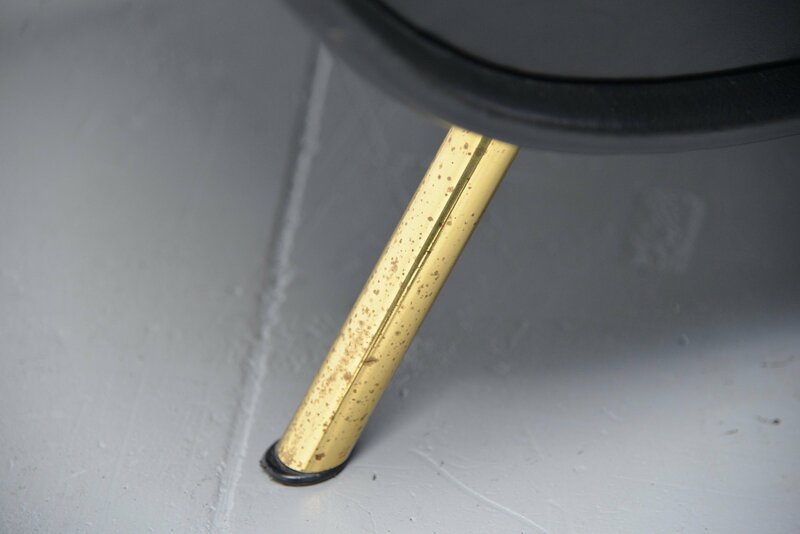 Brass legs are also in original and clean condition. 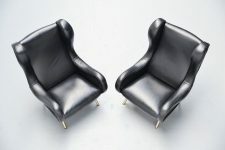 The chairs are sold and priced per set of 2.